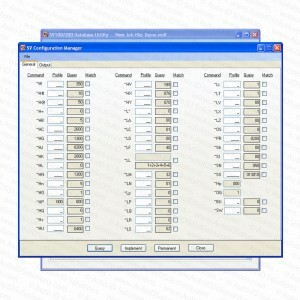 The SV Configurator is a software application that allows for configuration of the Printronix/RJS SV series bar code verifiers. 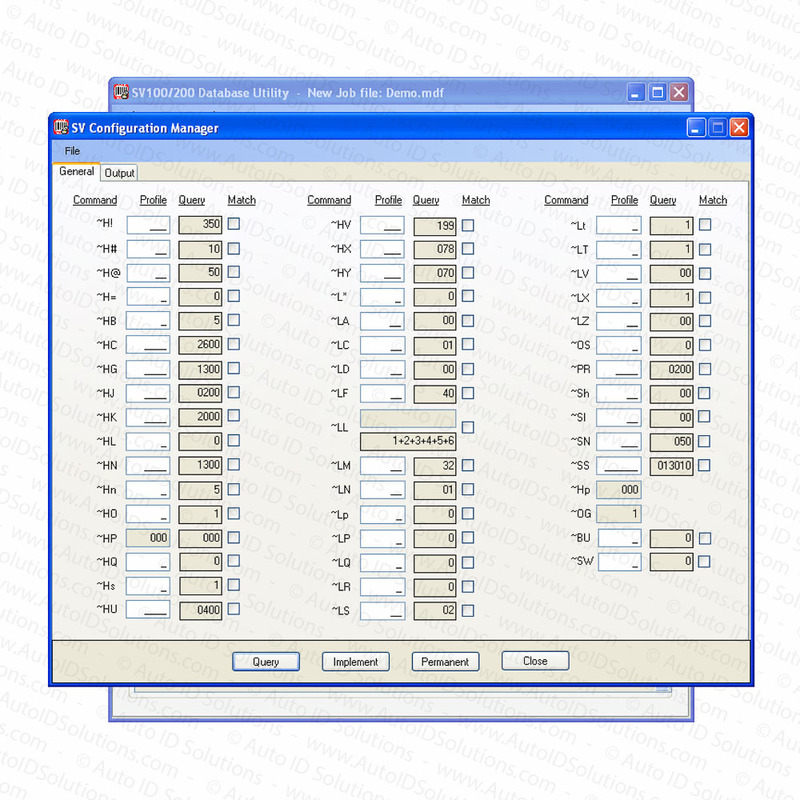 It is software application for customers using a Windows XP, Windows 7, and Windows 8 (ScanVision only functions on Windows XP). 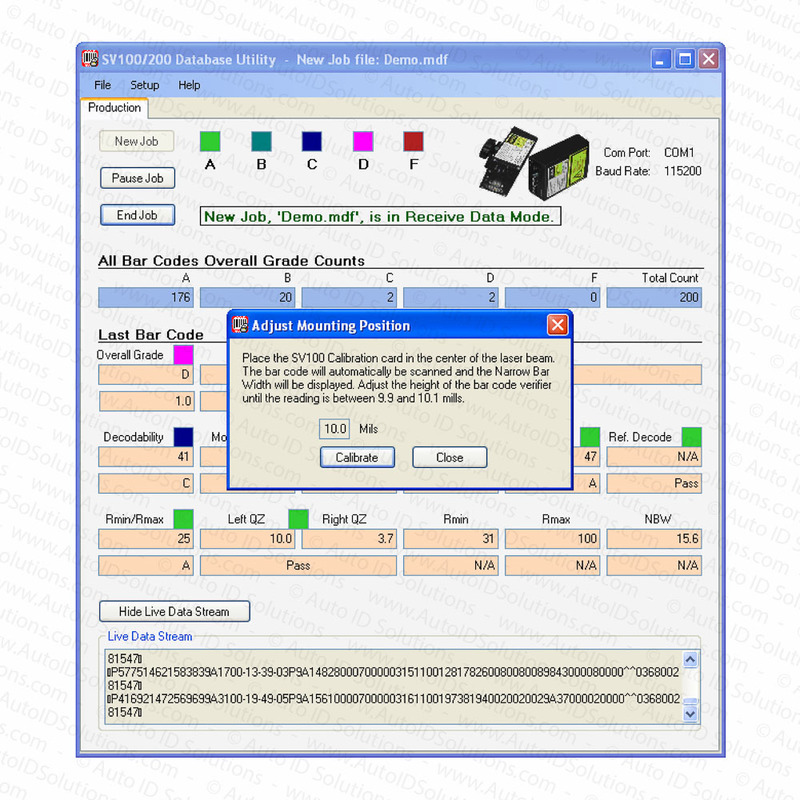 Printronix/RJS SV series bar code verifiers run 24/7 on production lines world-wide. 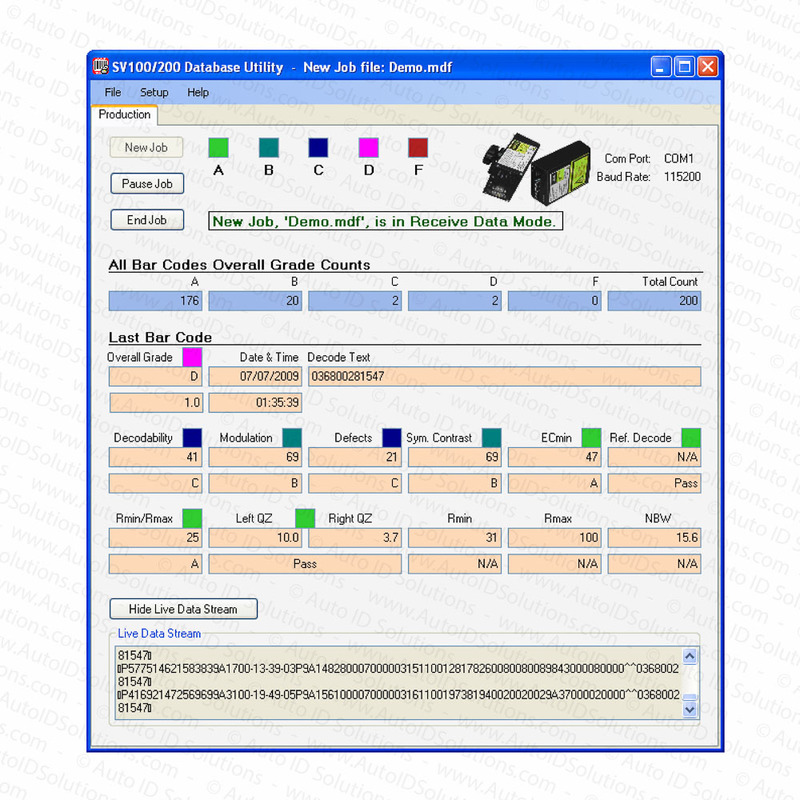 These unit are excellent tools for inspecting bar code quality real-time and to ensure 100% of the labels meet ISO standards. 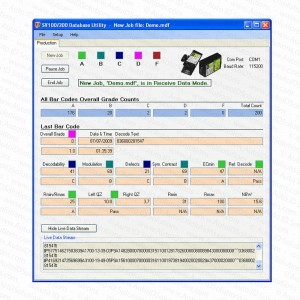 The SV Configurator is a software tool that provides a simple method for setting up and configuring your SV series bar code verifier. 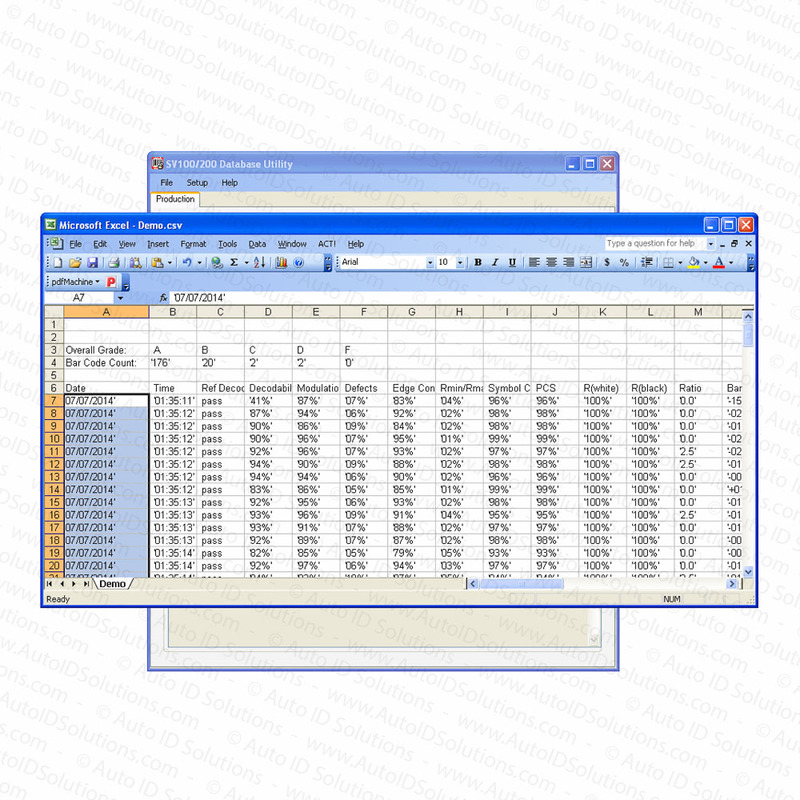 The SV Database Utility is a software application that allows real-time viewing of bar code quality results and generates custom job reports. 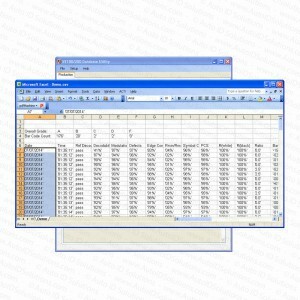 All bar code data is saved to the database for future report printing. Should bar code quality drop below allowable levels, jobs can be paused while adjustments are made to improve the print quality. During this time the bar code grades continue to be displayed but the results are not saved in the Job Report.